This Book really made you stop and think. Was very, very hard to put down. The flavors and textures it made one taste and feel was absolutely incredible! Thank you so much for sending me this book, Alysmouse. As you said, very difficult to put down. I will try to write a review later. I am very glad I was given the opportunity to read this book. The way it is written made it not very difficult to read for me (being Dutch). However, it made me think a lot. About all sorts of things really: religion, femininity, similarities and differences between people, forgiveness, love and how I behave myself toward the people I care about... The book gave me a positive feeling. I'll be trying to radiate that out into the world! Please make a journal entry upon receiving the book, to let us all know the book has arrived safely. Then PM the person after you to get his/her address. To keep the book moving: if there's no reply after 1 week and 2 PMs, then PM the next person on the list for the address. Read the book and make another journal entry when you send it to the next person, preferably within 3-4 weeks after receiving it. 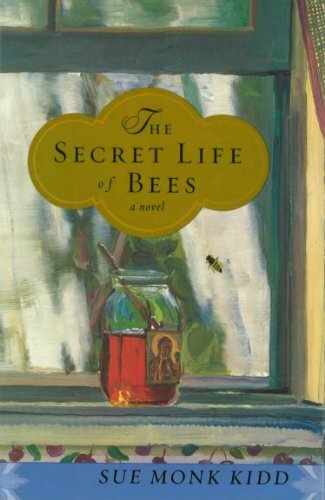 Thank you all for joining this bookring, I hope you will enjoy reading 'The secret life of bees'! Sent the book on its way to MaaikeB on Monday 5 December 2004. The book arrived safely (and beatifully wrapped!). Tonight, I'll start reading. Can't wait! Thanks for sharing, Alysmouse and qimp. Finished the book yesterday. It made me think of the books about the Ya-Ya Sisterhood in its evocation of sounds and smells. I really want to visit the southern states. I hope I will have the opportunity some time. The book was sad and comforting at the same time. But why is the Madonna on the cover not black? The interview with the author was a nice extra. I'll send the book on to Plinius. thank you MaaikeB, for the book and your good wishes. A beautiful growing-up story. Lily runs away from het depressing surroundings, discovers her mother's story and learns to heal herself. The storyline is not very surprising but the book is full of people I would have hated to miss. This goes to Biba89 tomorrow. This book was waiting for me at my desk, when I came back from my holidays in South America. In Surinam I was immersed in a large family of black women, whom I miss very much. Another reason why I look forward to reading this book, apart from the positive journals. Thank you for sharing! As I plodded on reading this story, I grew more and more irritated by this Lily person and the way she was voicing her turmoils, to a point when I wanted to shout at her to snap out of it and stop boring me with her endless hesitations. And the elaborate descriptions of what was going on inside her head, as if I am such a retard that I cannot read her emotions from dialogue and actions. Well, the big disadvantage is obviously, that I have heard this story before, but then infinitely better written, in "Animal dreams" by Barbara Kingsolver. This book tastes as a bad imitation. Story of a white girl, mother died young, father an 'obelisk of disapproval', lost and confused, seeking and finding love, healing and a sense of belonging within a community of stand-in mothers, which her own mother turns out to have been a part of. Add romance with a beautiful male from different skin colour, and a background of injustice and turmoil. Don't forget the humourous observations, the catholic religion mixed with traditional nature worship and the colourful nature descriptions. There you are. Anyone cares to get her hands on Animal Dreams, after this one? I can only recommend it. By the way, this was published eleven years prior to The Secret life of bees. I will send this on to eMeReS. Sunday I can hand this over to eMeReS, at our meetup in Nijmegen. I received the book at the very successful meet-up in Nijmegen this afternoon. Thanks Biba89, for passing it on. Thanks to Qimp as well for starting the ring, it was nice to see you again. On my way home I have read the first chapter, so far I like it. I will journal again as soon as I have finished the book. From the time I received the book I have read a chapter a day and finished the last three in one go this afternoon. It was a quick and pleasant read, however I was not entirely taken by it. Maybe I was a bit prejudiced after reading biba89's comments, but I did try to enter the story with an open mind. The character of Lily bugged me too, she struck me as self-absorbed and overly dramatic. In the interview with the author at the back of the book the possibility of a sequel is discussed, I would like the idea of Lily retelling this story when she has become a mother herself. The bees will take to their wings again and are off to Olifant. The bees have found a new place to stay for a while. Thanks! The bees are restless and so am I. Too many other (ring)books to read. Will send this book to the next reader when I get her address. Received the book on Friday, two days ago. Thank you, Olifant for sending it. Lovely book! Wonderful characters and a nice end. I really enjoyed this book! Iiwi, next on the list, decided to skip this bookring, because he has too much bookrings at the moment. So today the book will travel to the next bookcrosser on the list: PinkLibrarian. The book arrived yesterday (3/13) safe and sound, from across the pond. 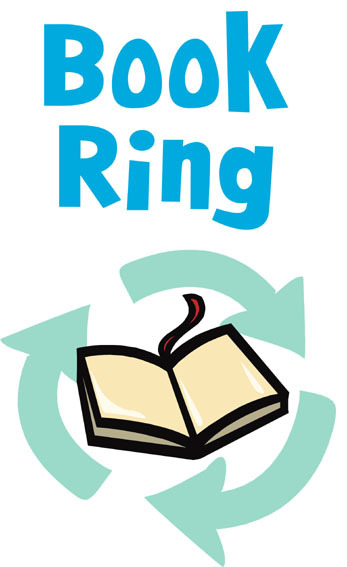 You gotta love a good bookring. I found this to be an easy and enjoyable read. It captures the essence of a simple girl from the south in the 1960s. The atmosphere was really that simple and prejudice back then. The only thing I really didn't believe was that the white men that found her in the black family's house would just leave her there. I would have thought that they would drag her out of there by her hair. It really was that bad. Too, I would have liked to have seen the weak side of August. She's like a fairy tale figure as she is. And May was one sided as well, as was the father. The author could have used a little more character development. It would have made for a longer book, but it would be more believable. Also, I'm not sure I really understand the title or the bee reference to the actual plot. Who was the queen? August, Lily or her mother? Maybe I'm just thick-headed and a literal thinker. Overall, I enjoyed this one. This was sent to the next person in the second week of May 2006. Sorry I haven't journaled this until now (I thought I already had). Started this one just a week or so ago, so hopefully will be able to keep it moving soon. It's an interesting story so far . . . curious to see where it heads. Although this is typically not my type of book, it was an enjoyable read. I was waiting for more to happen at the end though. I thought the ending was rather unexciting, especially after all the drama that was in the rest of Lily's life. Thanks for sharing this book! I was the last one for this bookray so I released the book while at a conference in Niagara Falls. I left it near the elevators on the 10th floor.